thanks, we will send you some informations. Working hard and in mostly silence on some background stuff for Army Ops. In the earliest days of Army Ops I used the old AA2 Menu Theme as placeholder and some of you mentioned Army Ops needs a modern looking menu. Well here it is. Or at leasts parts of it, I'm currently working (when I have some time) on the Settings menu. A lot of things have changed regarding the project setup in the last days and will change in the upcoming day (Publisher, Project Scope, Release Plan, ...). I try to write veryithing up and post it here as soon as possible. I need your suppoert now more then ever! If I find the time I try to make a short livestream on Facebook this or next weekend (but can't promise). Interesting, with the surge of all these titles like Squad or Insurgency: Sandstorm bringing the most succesful 2005 titles alive again on UE4 platform, I thought: why not have AA2 brought to modern day as well? There is nothing truly like it out there. But the concept of realistic 1-life-per-round gameplay that AA2 had, is bringing success even commercially with Rainbow Six: Siege being one of the most popular games on Steam for example. Is this going to run on the same UE4 platform, that is reaping success for these indie studios? Don't forget that huge part of AA2 was the working Tournament-mode, which let the competitive communities strive and breathe life into the game! I'm developing Army Ops with Competetive/Tournament Mode in mind but right now the focus is on getting the basics running. There's some pipes laying around. So Hospital? should be obvious, it's Mountain Pass! Now you're joking! It's clearly HQ Raid! Army Ops Closed Technical Alpha starting this weekend! A Gameplay test, the current version is „playable“ but not balanced and highly unfinished. A lot! Medics do not have any functions other then having a different weapon then the Rifleman, Weapons are totaly unbalanced and only have placeholder variables for Recoil and Damage. 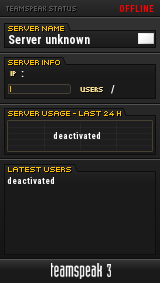 The Settings menu is very basic, there are no ranks , server tools/setup is very limited and no ingame admin tools are available. Maps look more or less ugly, have no textures or any details. => This is not to be playing Army Ops or having much fun with it. I want to gain informations on how the game performance on different PC is and how the Server will handle it and how the netcode is reacting. When does the test start? Exact Date and time will be announced. The test will last 24h. There are no real requirements right now as the game is in development. Windows 7 64 Bit or higher is required as well as 5 GB HDD space as well as a installed and working Steam Client. How do you join the test? I will select a very few number of people (< 20 People) based on several criterias. If you are not selected this is nothing personal. I'm favouring EU Timezone People for the first test as this makes it a lot easier to organize. There will be a lot of other test waves in the next weeks and month and more people are getting their chance to play and test Army Ops very soon. If you are selected for Test you are automatically part of the next test. This test is under NDA, you are not allowed to show and share any content of this test with friends or the public. There are several visible and invisqible watermarks on the screen letting me know the exact Steam ID of the creator. This allows me to instantly and permanently remove your Alpha Access! DO NOT SHARE ANYTHING WITHOUT PERMISSION! Saw it on FB as well and applied as well. If I'm suitable, I hope I can actually make time for it. In fact it was running so unexpected well, I decided to create a short demo real out of some recorded footage. In it's bare bone and higly unfinished stated Army Ops survived the first test wave with pride. The dedicated Server survived over 100 (re) connects in 1h and never had a hard crash. Pings where excelent (~40ms Ping from USA to Germany), no rubber banding occured and the netcode did what he was supposed to do. In conclusion a very successfull first test and even we found some bugs and the game is very unfinished ... I think I speak for all tester: We had a lot of fun! Thanks to all who helped testing Army Ops! Alpha Test #002 is on it's way! Too bad I couldn't make it that time - I'll try and be on the next time around if I'm actually at home.